Investors are once again turning their attention to new developments in the Telok Blangah and Keppel Bayarea in District 4. The ones that are on the radar screen of buyers are naturally the newest projects, such as the recently completed Reflections at Keppel Bayand Skyline Residences. 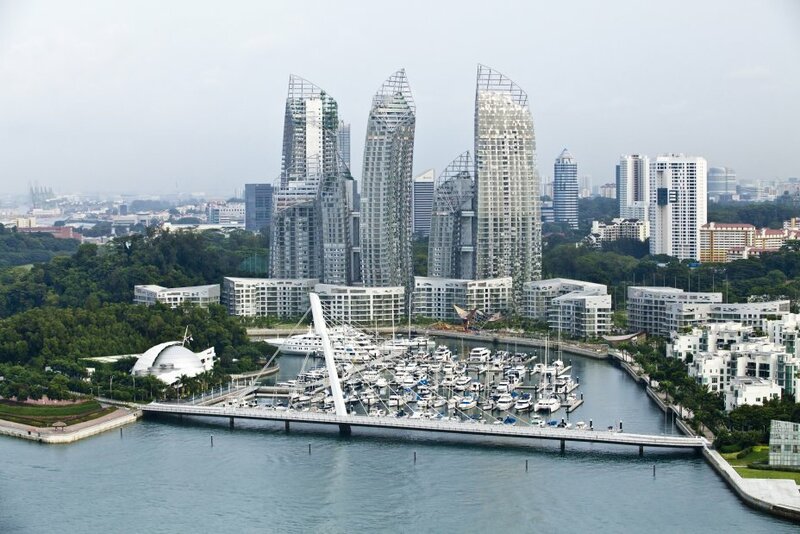 Designed by globally acclaimed architect Daniel Libeskind and developed by Keppel Land, the 1,129-unit Reflections at Keppel Bayhas seen renewed buying interest in the past month. Completed last December, the 99-year leasehold luxury condominium contains a mix of two- to four-bedroom units. 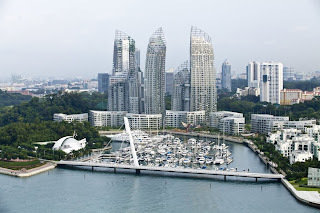 It's located close to Keppel Club, the Keppel Marina and is also near VivoCity shopping mall and Sentosa Island. To date, 88% of the 950 units launched at Reflections have been sold. Most recently, the project saw the sale of three units in March. A 1,442sqft, three-bedroom unit on the 23rd floor was sold for $3.1 million ($2,149psf) in a sub-sale. And a two-bedroom unit on the 13th floor changed hands for $1.89 million ($1,618psf). Meanwhile, another two-bedroom unit on the 14th floor transacted at $1.9 million ($1,650psf). The highest unit price recorded at Reflections at Keppel Bay was for a four-bedroom unit on teh fifth floor of one of the sixth-storey villa tower. the unit, which is said to have unobstructed sea views, fetched $11 million ($3,256psf) last November. the buyer is a Singaporean. According to Samuel Eyo, director of Savills' Prestige Homes, the difference in unit prices can be attributed to the differences in views. "A key draw of Reflections at Keppel Bayis its waterfront views and lifestyle options," says Eyo. "Units with better views can sell for about $2,000psf." He adds that the development has seen a good mix of locals and foreigners who are buying units for personal use and investment. "Units can fetch a rental rate of $6 to $7psf," says Eyo. Keppel Land has set aside several blocks as corporate residences. The two- to four-bedroom units will be leased fully furnished for between $8,000 and $9,000 a month, depending on the size. Eyo believes that Keppel Land will hold its rental rates and set benchmark for individual investors looking to lease out their units. Skyline Residences also saw renewed buying interest in March, after a lull following the latest property cooling measures in December. expected to be completed in 2015, the freehold development located at Telok Blangah saw three transactions in March, based on caveats lodged with URA Realis. Developed by Bukit Sembawang Estates, the 231-unit condo has a mix of one- to five-bedroom units. A unit that was recently sold was a 14th-floor one-bedroom unit that went for $1.07 million ($2,224psf). Another transaction was for a sixth-floor, three-bedroom unit that changed hands for $2.6 million ($1,967psf). The third transaction was for a 13th-floor, two-bedroom unit that went for $1.6 million ($1,968psf). Skyline Residences is a redevelopment of the former Fairways Condominium and is within walking distance to the Telok Blangah MRT station. While some units at the project enjoy sea views, Skyline Residences cannot be compared with Reflections at Keppel Bay as the latter offers a whole new waterfront living lifestyle and is targeted at a different segment of the market altogether, says Savills' Eyo. Value hunter have also been looking at the older condos in the area. 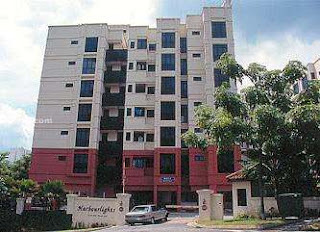 the 139-unit freehold Harbourlights, completed in 1997, saw two transactions last month. A 1,249sqft, three-bedroom unit on the fifth floor was sold for $1.73 million ($1,390psf). The previous owner had purchased the unit in a sub-sale in May 1996 for $1.25 million ($1,001psf). Hence, the unit has seen a capital appreciation of 38.4% in 16 years. On the third floor, a 721sqft, two-bedroom unit was sold for $998,000 ($1,384psf). The unit had changed hands twice previously. The first owner had purchased it at $591,112 ($820psf) from the developer in October 1995. The unit was then sold for $583,000 ($808psf) in a sub-sale in May 1999. The property has seen a capital appreciation of 68% in 16.5 years. Purchasers of Harbourlights are mainly end-users, says Eyo. "Telok Blangah is attractive to buyers because it is close to the city and MRT staions and there are shopping malls like Harbourfront and VivoCity located close by," he notes. No Comment to " Property Spotlight: Telok Blangah/Keppel Bay area "